Be the first to share your favorite memory, photo or story of Hugh . This memorial page is dedicated for family, friends and future generations to celebrate the life of their loved one. 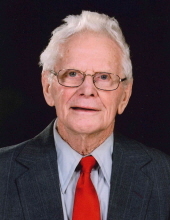 Mr. Hugh Armfield Cranor, III, age 86 of North Wilkesboro, passed away peacefully on Saturday, November 17, 2018 at Wilkes Senior Villages. The family will receive friends at Reins-Sturdivant Funeral Home from 6:00 until 8:00 on Tuesday, November 20, 2018. Mr. Cranor was born in Wilkes County to Hugh Armfield Cranor, II and Lula Mae Cochran Cranor. He attended Wilkesboro High School and then transitioned to the new Wilkes Central High School when it opened. He was on the first Wilkes Central Football Team in 1951 and later enjoyed coaching football for several seasons. He was married to Sylvia Segraves Cranor, the love of his of his life for nearly 60 years until her passing in May 2018. Hugh served in the United States Army, stationed in Houston, TX. He retired from Carolina Mirror Company after 35 years of dedicated service. For many years, he enjoyed fishing and competing in horseshoe tournaments. Hugh was a member of First Baptist Church in North Wilkesboro. In addition to his parents, he was preceded in death by his wife, Sylvia Segraves Cranor and two brothers, Tom Cranor and Fred Cranor. He is survived by one daughter, Virginia “Ginger” Chloe Cranor Edmiston and fiancé Bobby Johnson of North Wilkesboro; one brother, Bobby Cranor of Sherrills Ford,NC and a sister, Betty Cranor Horne of Jefferson, NC. There will be a family burial service at Davis Memorial Baptist Church Cemetery on Wednesday, November 21, 2018. In lieu of flowers, memorials may be made to First Baptist Church, P.O. Box 458, North Wilkesboro, NC 28659. To send flowers or a remembrance gift to the family of Hugh Armfield Cranor, III, please visit our Tribute Store. "Email Address" would like to share the life celebration of Hugh Armfield Cranor, III. Click on the "link" to go to share a favorite memory or leave a condolence message for the family.